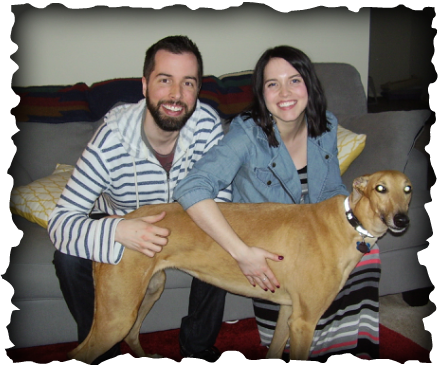 Leah and Mike of Centerville met MRK River Only for the first time a week before they adopted her and within minutes of meeting them, she was roaching! That was a pretty good sign that this red girl had a new home and a new family. On adoption day, she checked out her beds and toys, and settled on a brand new tennis ball to nibble. River will get lots of attention from Leah and Mike, and we hope to see them all at GAGC events in the coming months.